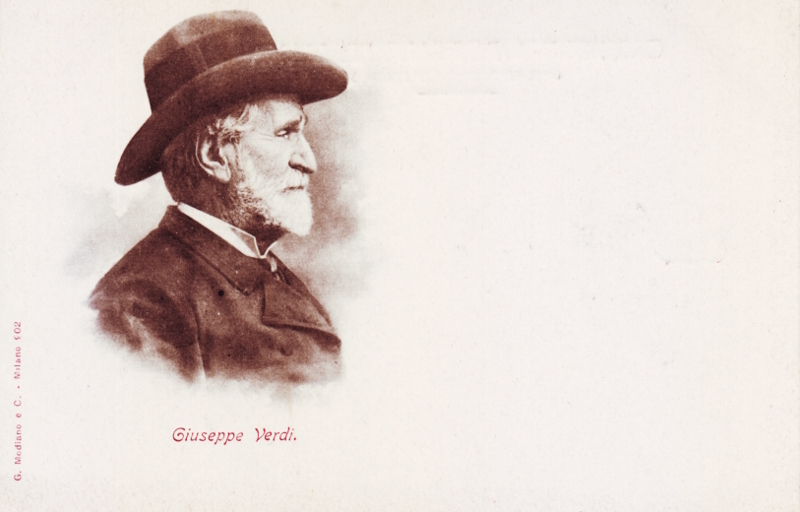 Italian composers Giacomo Puccini and Giuseppe Verdi are arguably two of Italy's best loved and most famous composers of operas, and as these two stunning portrait postcards from the late 1890s attest, celebrated musical figures of their day. I found these two vintage undivided back postcards on a market stall in Rome, Italy recently. They were sold together in pristine uncirculated condition, but we can date them with certainty to some time before 1906 when divided back postcards were first introduced in Italy. I have seen an identical copy of the Verdi postcard which was postally used in 1899, putting the publication of the postcards within both composers' lifetimes (Verdi died in 1901 and Puccini in 1924). The cards were printed by Italian company G. Modiano e Co, a Milan-based printing studio which branched into postcard publishing in the late 1890s under the guidance of Gustavo Modiano. On the death of Gustavo in 1916, the firm would first be run by his wife Bice, and then by his son Guido Modiano, who would later still become a well-known Italian art critic. 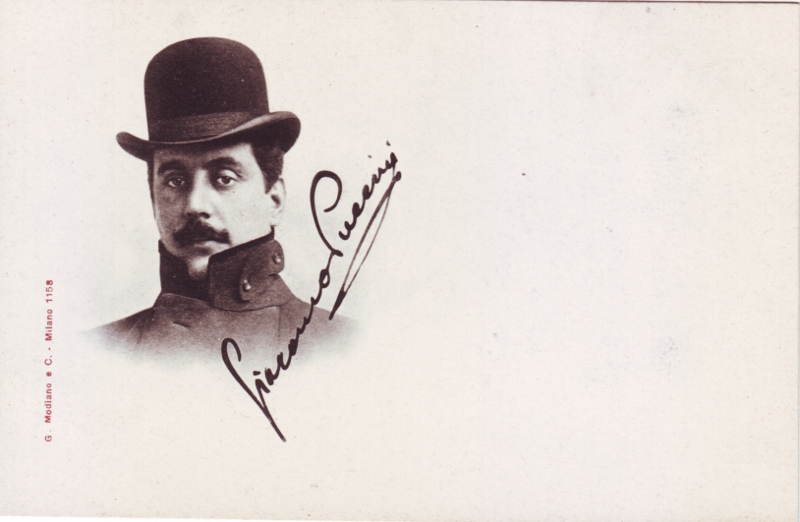 The Puccini postcard carries a pre-printed autograph which at first glance looks incredibly authentic. Modiani & Co. certainly did a fine job in printing the name in a darker ink – it had me fooled for a while...! Watch a video below of Puccini playing the piano wearing his distinctive bowler hat below or click here to watch on YouTube – please note that the sound is fake – but that is definitely the man himself!